Hey fellow Trend Addicts, do you remember when we used to sing in the government yard in trend town? Neither do we, but when we finally came to we were listening to a Hot Tuna album and had orange Cool Ranch Doritos stains all over our fingers, not to mention the fact that our glaucoma was miraculously cured. We’d venture to say that it was all a result of our usage of the latest trendly health helper, medicinal marijuana. Medicinal marijuana has been a smokin’ hot subject ever since it came up in that episode of HBO’s Entourage where Turtle tried to get laid and find a cure for cancer while something happened with Vince in a movie. However it wasn’t always such a friendly and trendy topic. According to a conspiracy theory article that may have appeared in High Times Magazine in the past several years next to a centerfold of a fern, it was the U.S. government’s discovery of the Mafia’s covert supplying of Medicinal Marijuana to Cuba that was the sole reason behind both the Cuban Missile crisis and the eventual Kennedy Assassination. They didn’t call it the “Grassy Knoll’ for nothin’. Medicinal Marijuana was also indirectly responsible for the Ricky Martin leaving Menudo…but that’s a way longer story. 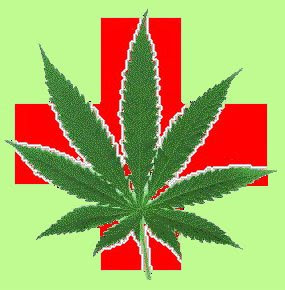 In the nowadays medicinal marijuana has become quite the subject for debate. Doctors argue that it helps ease the pain of patients suffering from nerve damage and lack of desire for late night snackage, while those who oppose it think of it as a gateway to other legal medicinal cure- alls like medicinal cocaine, medicinal heroin, and medicinal Flomax. However,there’s one point that advocates and opponents alike have chosen to agree on, and that’s that medicinal marijuana makes watching the 1939 film, The Wizard of Oz while listening to Pink Floyd’s Division Bell album (start it on the 2nd MGM Lion Roar) totally “trippy”…which is most certainly trendly, but not as trendly as tasting colors…Man. The Trendliest is your friendly guide to latest trends. If you need to know what’s hop, hot, or now…well then you’ve got to read it. Not only is The Trendliest friendly and trendy, but it’s also satirical. So, if you find yourself easily offended by the content, there is a good chance that you are either silly, hyper-sensitive or Canadian. Lighten up Canucks. room design on Bidet Can You See?